The Toptal Community in Campinas is growing, so we’re organizing a Toptal community gathering on March 9th at the Grainne’s Irish Pub. You’ll have the opportunity to meet Toptalers from your town, talk about which projects you’re working on, and ask questions while enjoying good company and good food. All guests are more than welcome! Please RSVP to give us an accurate head count. 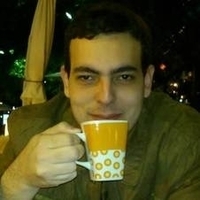 For questions regarding this event, or if you are a non-Toptal developer who would like to attend, please contact the event organizer, Luiz Moraes.